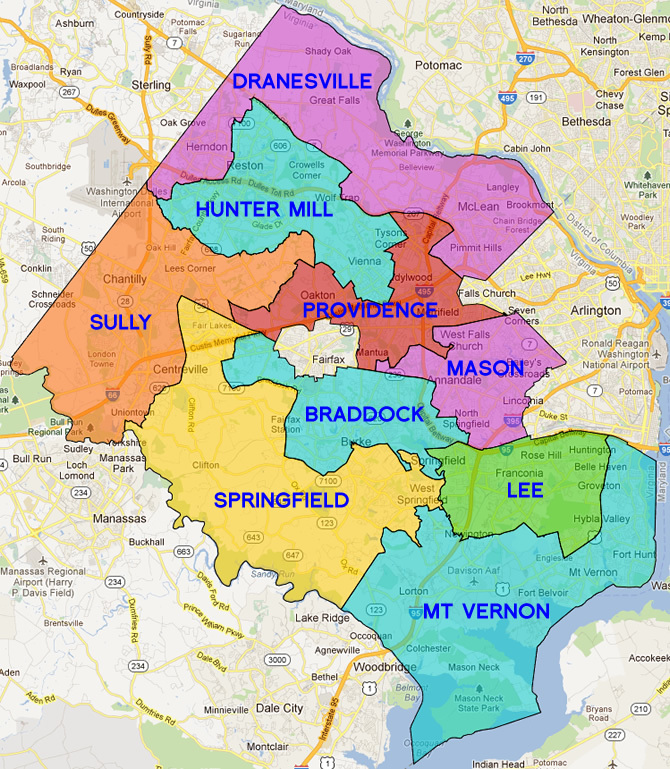 Click a district name on the map below to jump to that district page. Fairfax County is the most populated jurisdiction in the Commonwealth of Virginia, with over one million residents (1,081,726), making up 13.5 percent of Virginia’s total population. Fairfax County is known for Tysons Corner, Wolf Trap, George Mason University, Dulles International Airport, the New Annex of the Smithsonian Air and Space Museum, Fort Belvoir, Mount Vernon, Gunston Hall, Seven Corners, Bailey’s Crossroads, and much more. Thanks to strong Democratic leadership, Fairfax County is the best place to live, work, and raise a family, with low unemployment, high-income jobs, low crime rate, and public schools that are consistently ranked among the best in the United States. Major companies like Volkswagen and Hilton are moving their headquarters to Fairfax County because of our great quality of life. Fairfax County is also a pioneer of the “Cool Counties Initiative” to reduce global warming emissions 80 percent by 2050, through energy efficiency, tree conservation, tele-work, green vehicles, green buildings, recycling and other cost effective policies that both save energy and save money. 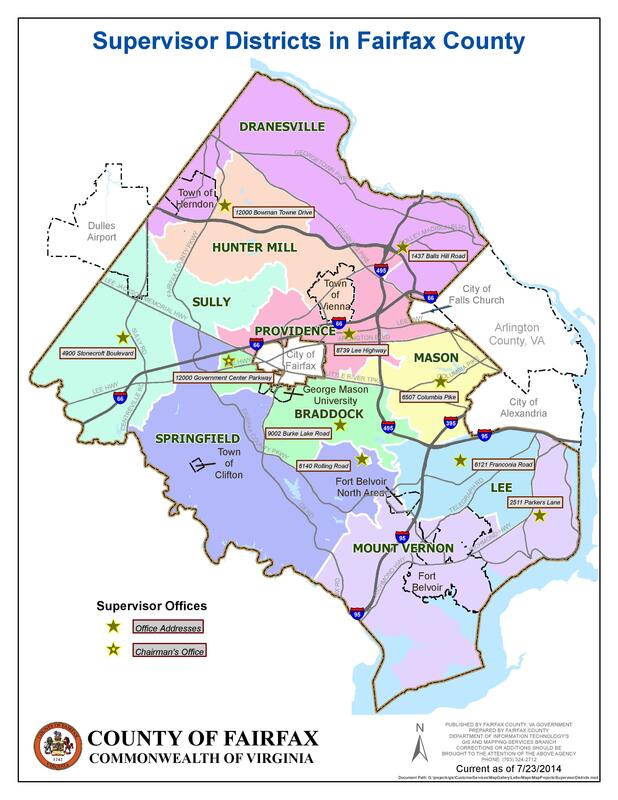 Fairfax County is divided into nine supervisor districts. Each district has an elected County Supervisor and a government center where early absentee, in-person voting takes place, beginning several weeks before Election Day. Each district also has its own local Democratic Committee that meets each month, has its own events, and organize the precincts in each district. 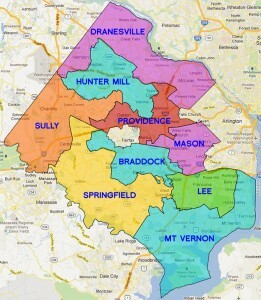 Click on a district name below to learn more about that district. Fairfax County’s Fire and Rescue – Virginia Task Force 1 is one of only 2 teams in the U.S. qualified for foreign urban search and rescue missions and have responded immediately after the 2011 earthquake and Tsunami in Japan, 2010 earthquake in Haiti, Hurricanes Katrina and Isabel, 9/11 attack on the Pentagon, the Oklahoma City Bombing, earthquakes in Turkey, Taiwan, Iran and many other domestic and international disasters. We are very proud of all of our Fire Fighters and Paramedics in Fairfax County.